There is a legend that Martin Luther was the first to put candles on the evergreen tree after walking home one night and viewing the stars through the tree branches. It was such a beautiful sight he wanted to share it with his children and did this by putting candles on the evergreen tree that he brought in. There is also a legend that a missionary from Britain named Boniface came to Germany and discovered a tribe at the sacred Oak of Donar about to sacrifice an animal. To stop it he chopped down their sacred tree. Then he pointed to a small fir tree and told them that fir tree is a holy tree since its triangular shapes represents the Trinity of Christianity and its branches point toward heaven. He urged them to bring evergreen trees into their homes and surround them with gifts for their family as signs of love and kindness. The Christmas tree took many traditions over the centuries. From the 11th to 16th century Bible-based plays were popular. One was the Paradise play about Adam and Eve. It included a fir tree with shiny red apples. The colors red and green became the colors of the Christmas season and the Paradise tree evolved to the Christmas tree. In the 1600s Germans decorated Christmas trees with nuts and fruit and eventually ginger cookies shaped like bells, angels, and stars. Tinsel was made from real silver to give the tree a sparkle. German settlers brought the Christmas tree tradition to America.The first record of a Christmas tree being on display in America is in 1830, however Germans had Christmas trees in their homes and community ones as early as 1747. However as late as the1840s Christmas trees were seen as a Pagan symbol they were not widely accepted. In Massachusetts it was against the law to celebrate in any way besides going to church on December 25th from 1659 until the 19th century. In 1856 Christmas was made a legal holiday in Massachusetts. On June 25, 1870 Christmas became a national holiday in the United States. In the late 1800s Americans became fascinated with the glass-blown ornaments arriving from Europe. Around the same time angels and glittering stars became popular tree toppers. 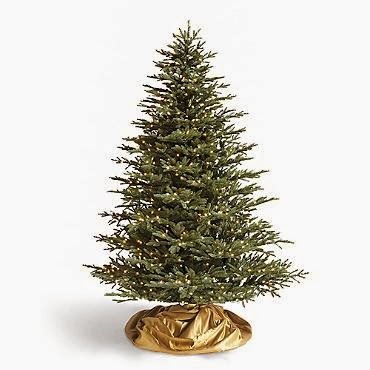 Christmas trees themselves have evolved over the years with the introduction of artificial trees. In the 1800s feather Christmas trees were popular. In the 1960s trees were aluminum or plastic and not always green. 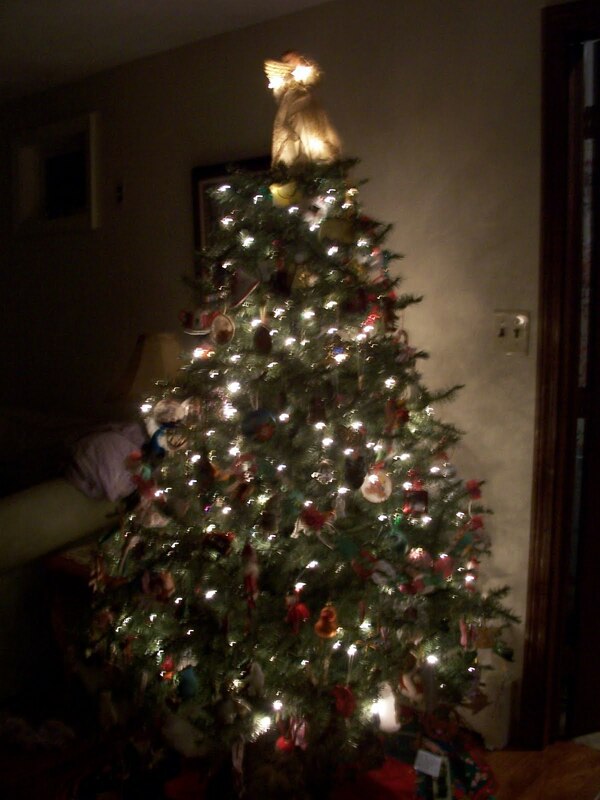 From 2009 on many artificial trees come pre-lit. Many people however still prefer a real tree. Some cut it down and others bring them in with dirt and have a live tree which can be planted outside after Christmas. 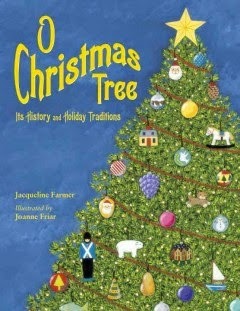 Sources: O Christmas Tree by Jacqueline Farmer and History of Christmas Trees. 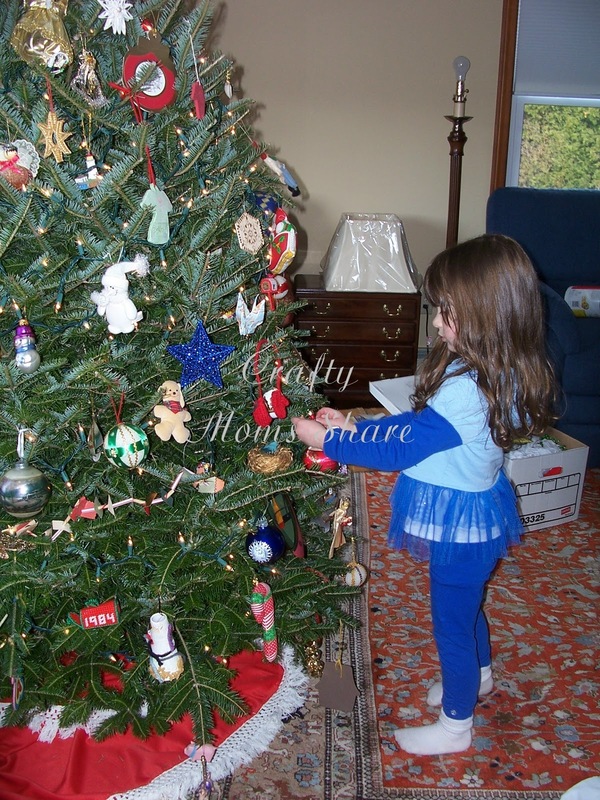 Christmas tree traditions differ from country to country and from family to family. I asked the bloggers in Multicultural Kid Bloggers to share their traditions and here is what I got. In Italy according to Giuliana most Christmas tree traditions are similar to the ones in the United States however Americans laugh when they hear they leave out clementines and red wine for Santa. Stephen of The Head of the Heard says the traditions of Brazil are similar to the United Kingdom. In the United Kingdom he remembers leaving mince pie and beer for Santa and in Brazil it is always an artificial tree. Frances of Discovering the World Through My Son's Eyes shares a Charamico, a traditional Dominican Christmas Tree Tutorial. Rita from Multilingual Parenting shares her childhood memories in Finland. They would walk through deep snow for an hour to find the tree in their forest or someone else's. In those days she says there was plenty of forest and people did not mind if you cut down one of their trees. Nowadays she says you would stick to your own forest or buy one. The tree was brought in and decorated on December 24th and stayed up until January 13th (the 20th day after Christmas). 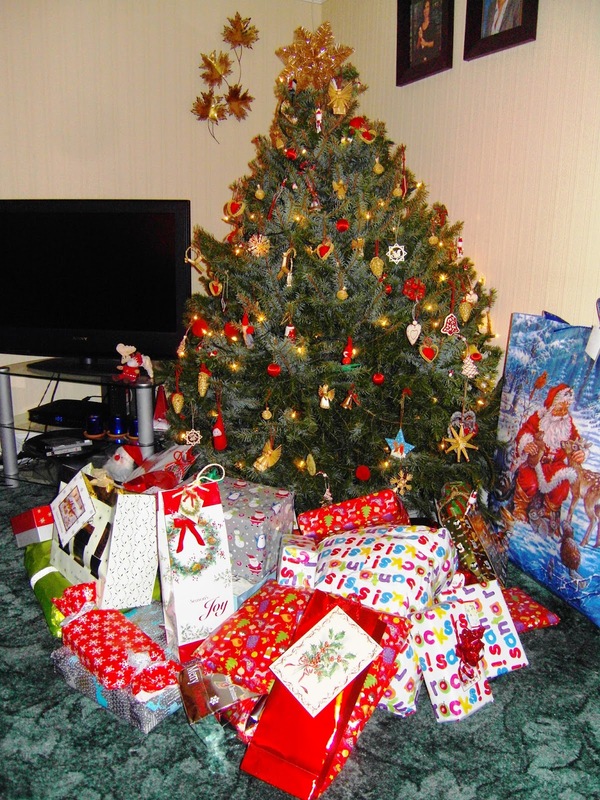 She shares her family traditions now in the United Kingdom in her post, Our Christmas. She discusses a few of the differences between the United Kingdom and Finland. 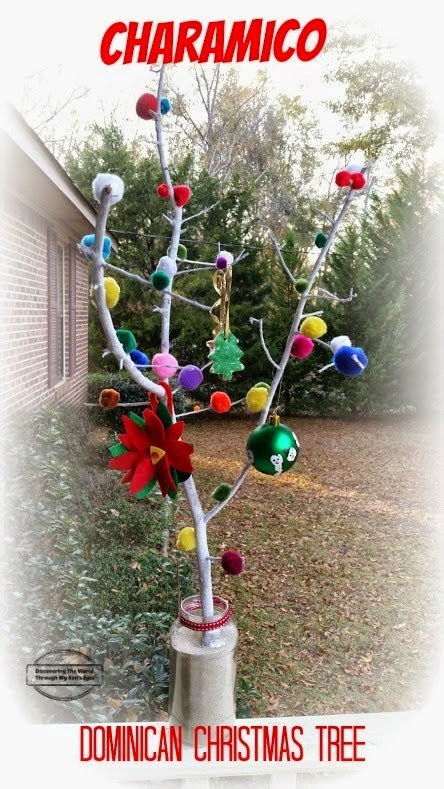 Annabelle of the piri-piri lexicon shares some of her alternative Christmas trees. She loves the traditions, but is trying to get away from the expenses of the Christmas Business. Becky at Kid World Citizen shares her family traditions in the United States in The Importance of Family Traditions and a Look at Ours. 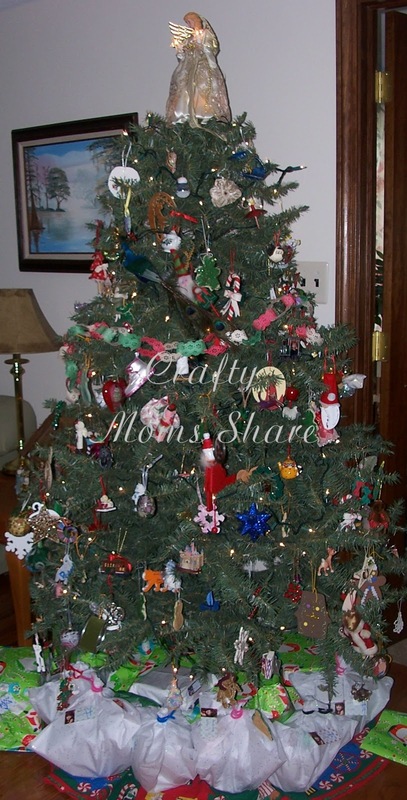 I also shared some of our customs of our Christmas tree and how it is filled with memories a few years ago. 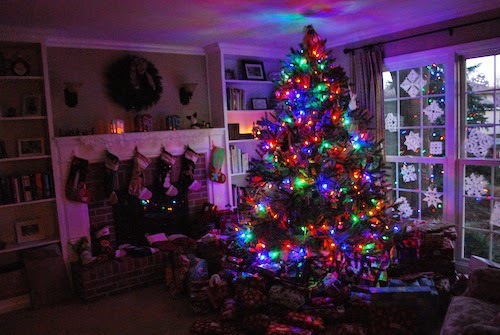 What are your Christmas tree traditions if you celebrate? 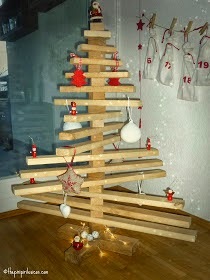 If you do not, do you have a new year's tree or anything else? enjoyed this post and learned some new things! !